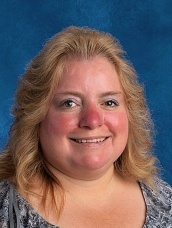 Mrs. Cindy Hollenden carries an Associate of Arts in Education and a Bachelor of Arts in Education with Virginia licensure. Her favorite verse is Jeremiah 29:11 and she believes God has called her to share truth and life with all people. She loves seeing God in the eyes of children. Mrs. Luci Walker is a native of Frederick County, Virginia, who has been married to her husband, Paul for over 25 years. She is the mother of three sons, Scott, Jeremy (who is a graduate of MVCA), and her youngest, Josiah, who is a student at MVCA. Luci began at MVCA sixteen years ago as a volunteer. She counts it a honor and privilege to serve in several different capacities along the way. She continues to have a heart for children and a desire to allow God to use her to help make a difference in the life of His children.